What is Max Treatment Center? Alternative Health Care meets the Day Spa Environment. MAX offers a variety of techniques to its clients including any of the following components: Massage in Manhattan Beach, Skin Care, Treatment for Muscular Pain, Rehab Exercises and Pilates as well as Nutrition on a holistic level. All of these techniques are expertly applied, according to the needs of the client, with the ultimate goal of "Optimal Health". Our personal attention to detail will improve any muscular imbalances, skin care needs, and chronic aches and pains and we will provide you with a Treatment Path that starts you on the process of healing and keep you on that path. "The Max Experience" provides a relaxing boutique spa environment that is cozy and relaxing. 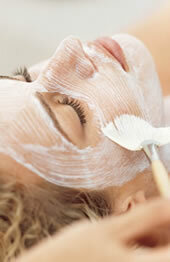 All treatments : Massage and Facials are customized to your specific health and beauty needs. Our clients leave feeling cared for and knowledgeable about their health status and how to take the necessary steps to accomplish their goals. Private Pilates is a new service that has been a real success for us. We invite you to try it and feel how great it is to move that body. What does MAX Treatment Center do? We specialize in Chronic Muscular problems from accidents, injuries and bad posture. We offer expert Deep Tissue Massage, Amplified Healing with Microcurrent Therapy for pain relief, Facials and Waxing Services. Visit our Services Page for more information, and go to our Promotional Page for Seasonal Specials."